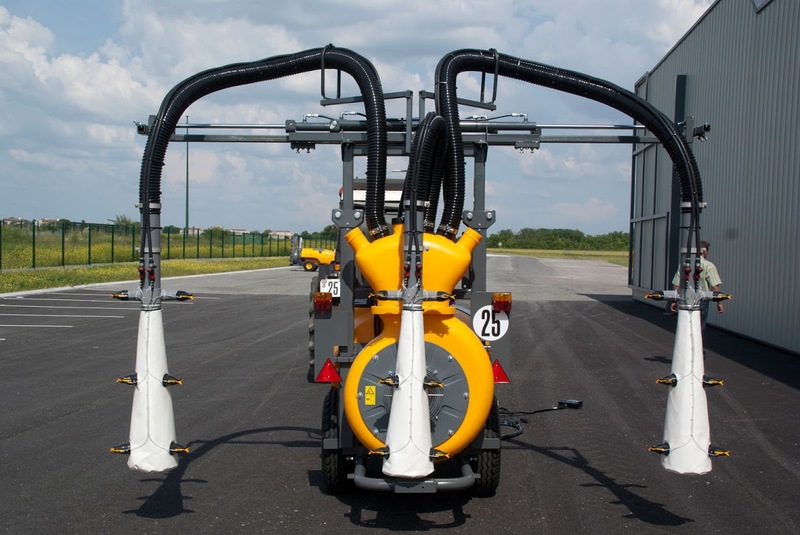 SPEEDFLOW sprayers comprise a lightweight tubular chassis which is both simple and robust. The axles, which are positioned centrally and can be adjusted to the tractor's track width, offer excellent load distribution. The articulated drawbar, fitted on a bearing, improves handling. 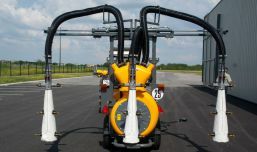 The SPEEDFLOW PROGRESS is equipped with a smooth polyethylene tank to prevent damage to the vines. The rinsing tank and the hand wash reservoir are integrated into the main tank. This range is available with a choice of tank capacities to satisfy your requirements. 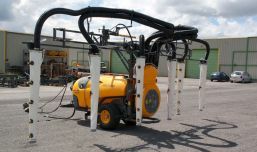 For row widths from 1.50 to 3m, the Speedflow Progress, a pneumatic "face by face" rail with 2 or 3 complete rows, is equipped with the FLEXIspray system: lightweight, flexible and unbreakable boom sprayers, inflated by air distributed uniformly by a polyethylene volute with 6 outlets and expelled by a turbine 520mm in diameter, which renders them rigid and positions them vertically within the row. 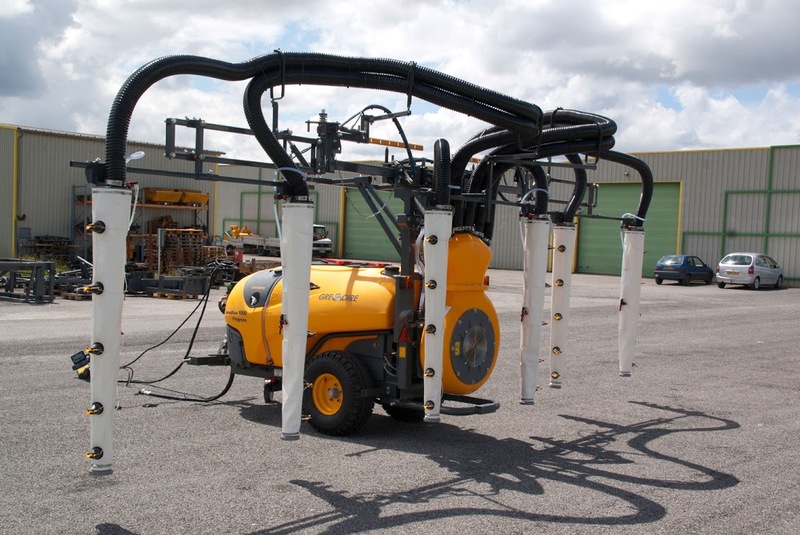 The DynaDiff diffuser nozzles increase the air speed, ensuring the product is perfectly distributed, droplet formation is optimised, and the spraying quality is excellent. Hinge aft safety device on external assemblies. R2: Rail with 2 complete rows for vines from 1.80m to 3.00m. R3: Rail with 3 complete rows for vines from 1.50m to 3.00m.